Rio Salado College | RioNews: Rio Salado Announces Mascot Name Today! Rio Salado Announces Mascot Name Today! The next phase of Rio Salado College’s adoption of a new mascot is now complete— choosing a name. By popular vote from employees, students and the public, the college has decided on Splash! Some back story. Rio Salado set out to adopt a mascot in January, calling on college supporters to submit suggestions for ideas. Nearly 150 people submitted more than 200 ideas and more than 1,300 people voted for their favorite submissions. The ultimate goal was to find a mascot that represents the college’s mission, flexible learning format, innovative practices and college culture. 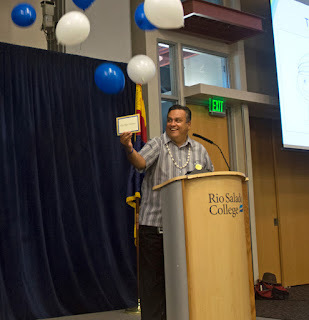 The college chose the Rio Waves as a concept, which was announced March 24 by Rio Salado President Dr. Chris Bustamante during a college wide meeting for employees. “The Rio Waves will help us tell our story by representing the water of the Salt River and how the college cuts through barriers and navigates around obstacles in order to find innovative ways to serve students,” said Bustamante during the announcement. With concept in mind, Rio Salado designers went to work right away to create a 2-D character, which came to life just a few weeks ago. The college called on the community once again to come up with a name. More than 250 participants submitted ideas. 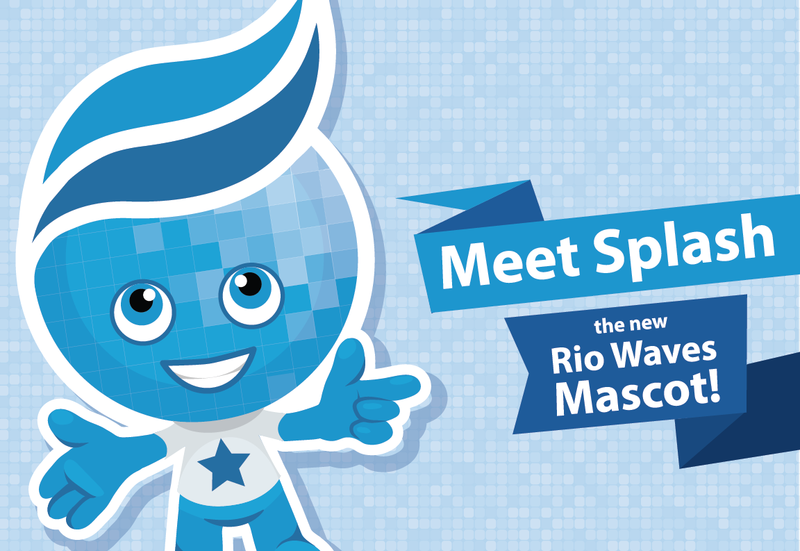 While profound in concept, the new mascot is unique and already has a passionate fan base, which is eager to see Splash decals, screensavers, t-shirts, plush toys and the like. The next step is creating a costume to help Splash fit in with the other Maricopa Community Colleges mascots. Designers are already on the task. The college plans to introduce Splash to the public this fall. Visit www.riosalado.edu/mascot for additional details.